 Date Correction – Please note that Oregon Nurses Night Out takes places on the 3rd Thursday of the month. The first meeting will be January 21st. January 21st marks the first meetings of Oregon Nurses Night Out! Come join other nurses to network, discuss nursing issues and relax in the company of peers! Based on the successful Health Care Night Out program, Nurses Night Out is a monthly gathering of nursing professionals in cities across Oregon to encourage networking across practice settings and create strong relationships to benefit the nursing profession. Nurses in cities across Oregon gather at a pubs, restaurants, coffee houses on the third Thursday of the month to relax, network and discuss topics of interest. There is no cost to participate in these no-host events. Where can I find current locations of Nurses Night Out? Visit www.oregonnursesnightout.org for an up-to-date list of participating locations. This is a brand new initiative and we hope to see the number of locations grow throughout 2016. See a Night Out location close to you? You can contact the site leader for more details, or just stop by the site on January 19th. We are actively recruiting site leaders to for Nurses Night Out! Site leaders find a location in their area where a group can meet on the 3rd Thursday of every month, help spread the word through their nursing networks, put out a table tent and greet nurses as they arrive at Nurses Night Out. OCN will provide you with a table tent, sign-in sheet, and additional materials. Interested in being a site leader? Let us know! Why don’t I see Nurses Night Out in my city? If you don’t see a Nurses Night Out event in your city, it means we still need a site leader to coordinate the event. Interested in being a site leader? Let us know! More details on Oregon Nurses Night Out are available at www.oregonnursesnightout.org.